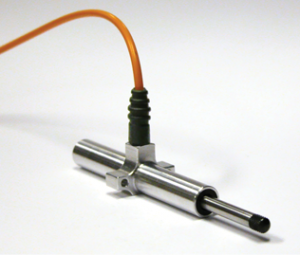 Inductive displacement transducers operate with no electrical or mechanical contact between the core and the sensor body, as such these sensors are inherently free from friction and therefore can be used in long term and/or high frequency applications, and models without integral electronics can be used in very high or low temperature environments. Techni Measure supply a large variety of linear inductive displacement sensors, with or without internal electronics, free core and gauging (spring return) versions with ranges starting at 1.5mm and the world’s smallest linear displacement sensor from Lord Microstrain to 360mm in the Schrieber Messtechnik series. Potentiometric linear displacement transducers from Sakae offer a range of low cost sensors with measurement ranges from 10mm up to 1m. Wire wound or conductive plastic tracks are available. A wide range of options for precision, mounting and wiper / shaft connection arrangements are available. 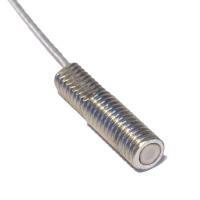 Techni Measure hold a wide range of standard models in UK stock for fast delivery and quantity discounts are available. 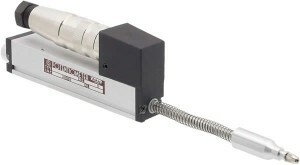 Techni Measure supply a range of strain gauge based linear displacement transducers and extensometers from TML, with a wide variety of designs for many applications including crack or gap monitoring and for long term use e.g. in civil engineering applications. These transducers are also perfect for use where compatibility with existing strain gauge instrumentation and data acquisition is required. Capacitive displacement, gap measuring and hole dimension sensors from Capacitec for non-contact, ultra high precision, high frequency and/or high temperature applications (up to 1000°C). As well as rack mount signal conditioning Capacitec also manufacture the Gapman, a unique handheld portable gap measuring system that is widely used across industry to replace the common feeler gauge, improving resolution and eliminating user errors. Suppliers of the LiniGage Aircraft Engine Rotor Eccentricity Realignment System, Capacitec also provide customised solutions for bespoke applications. 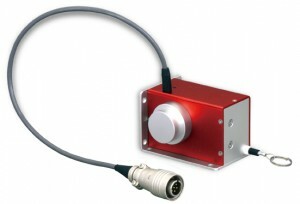 Techni Measure supply the Acuity range of laser triangulation and time of flight displacement sensors. Various models are available catering for different ranges (3mm to 3km) and stand-off distances with sub-micron resolution achievable. A range of output options and connectivity solutions is offered for ease of integration into your laboratory or process line data acquisition system, as well as touch panel displays for clear and immediate data display of displacement or thickness. 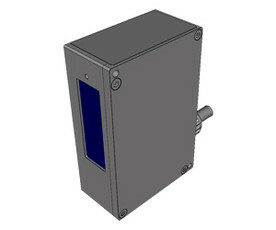 Sample frequencies up to 110KHz are possible and infra-red or blue laser options are available for improved response from different target surfaces. These highly versatile sensors are used for many types of application and Techni Measure will be happy to help you select the correct sensor for your requirement. LORD MicroStrain offer a range of non-contact inductive sensors for displacement measurement to metallic target materials with ranges from 1mm to 5mm. Techni Measure will be happy to help you select the correct sensor and signal conditioning for your application.